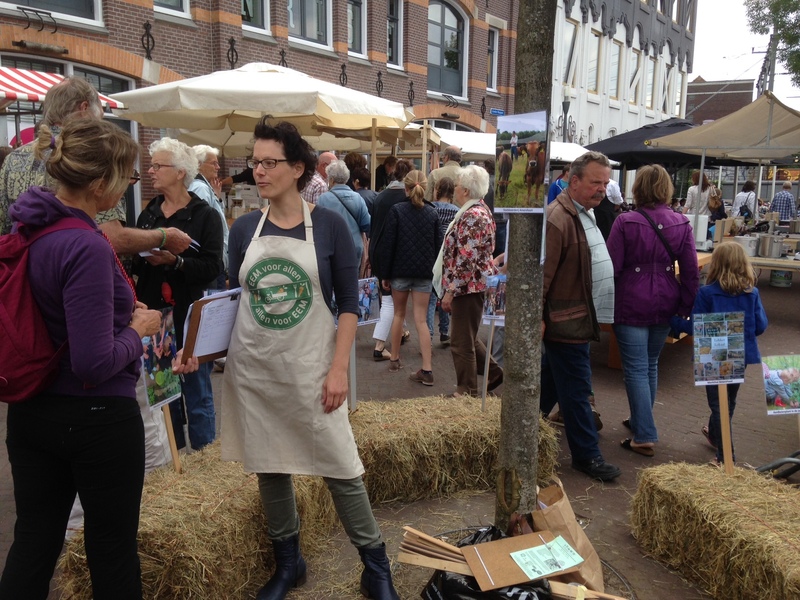 Last week we accomplished the first version of the Amersfoort Local Action Plan, a joint initiative of involved stakeholders of the Amersfoort local food network ‘EEM’. Although actions for our LAP will ‘organically’ evolve the upcoming period, the basis of the LAP is defined. What are the main topics which we adress in our LAP? -Our main priorities on Growing, Delivering, Enjoying and last but not least the continuation of our network as an important connection platform to all stakeholders. Within this chapter we describe the present activities and the new activities for the LAP. Finally one of the actions in our LAP is already achieved: a webbased overview on urban farming initiatives and important public plots in Amersfoort which can be used for urban farming and green initiatives. 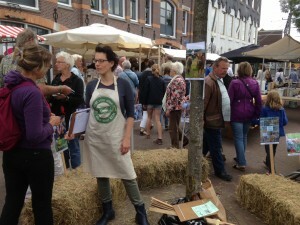 On saturday June 27 th we shared in a pop setting on small haystacks at our regional seasonal market the launch of the public campaign to inform the content of the LAP to our citizens.